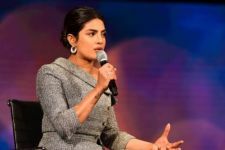 Priyanka Chopra exchanged vows with beau Nick Jonas at Umaid Bhavan in Jodhpur amidst family and close friends. On December 1, the bride and the groom had a Catholic Wedding and Nick's dad, Paul Kevin Jonas officiated the wedding. 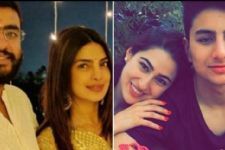 On December 2, the duo exchanged vows as per the Hindu traditions and hosted a grand formal reception for their close relatives and friends in Delhi on December 4. 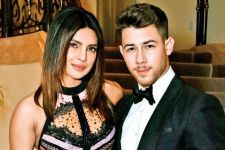 For the reception, Nick and Priyanka looked resplendent. While PeeCee chose a dazzling ivory and cream lehenga, layered with a long flowy dupatta. Nick looked dapper in his sharply dressed in a midnight blue velvet tuxedo. 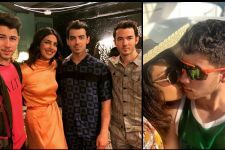 NickYanka met and fell in love earlier this year and since then they have been making headlines for their cute PDA's. We wish the couple heartiest congratulations as they begin their new journey as man and wife and may God bless them with many years of togetherness.